Since I was a little girl, horses have always had a special place in my heart. I’ve been involved in the riding industry my entire life, and from Coast to CoastI know how important these animals are to us. They become our competitive partners, best friends, and even part of our family. 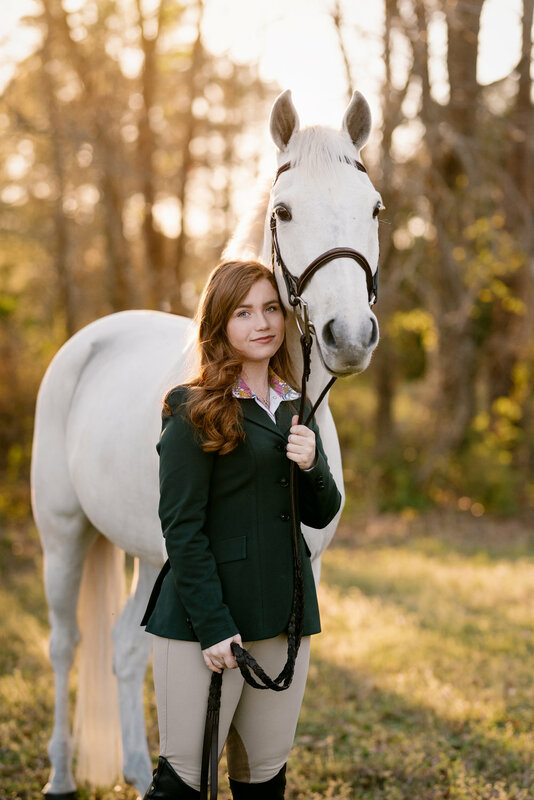 The equestrian lifestyle is a unique one, differing between ages, breeds, and disciplines — but the one thing that connects us all is our love for horses and the sport. One of the most amazing parts of being an equine photographer is to meet so many people that share this similar love and capture that bond behind the scope of a lens. Giana Terranova Photography offers several different price packages of differing sizes to fit your needs. THE FULL EXPERIENCE — This all encompassing package includes the value of a full package as well as a black background session for one horse. In addition to a print credit, you will also receive 4x6 proofs of all the images in your session as well as a personalized 20 page photo album of the images taken. Over thirty five high quality digital files are included, completely edited in a personalized online gallery. THE BEST OF BOTH — This middle package is the perfect average. 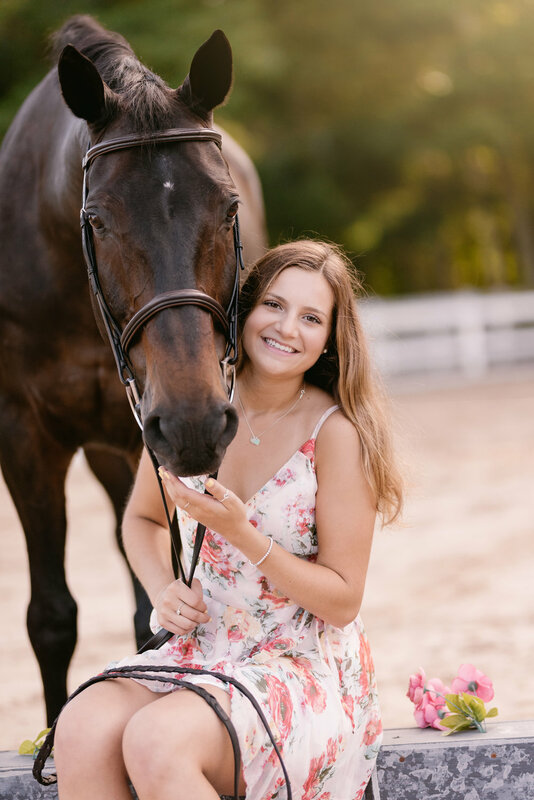 In addition to a print credit, you will also receive one black background session for one horse. Over thirty five high quality digital files are included, completely edited in a personalized online gallery. 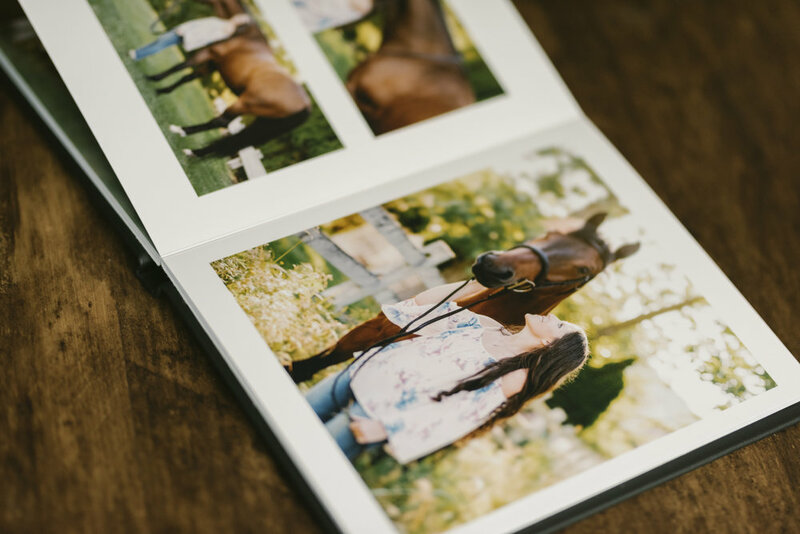 THE A LA CARTE — This simplified package allows for you to have an hour session with you and your horse to capture the best images. Twenty five high quality digital files are included completely edited in a personalized online gallery. As much as we are in the digital age, there's something timeless about prints that can never be replaced. Decorate your home with memories of you and your four-legged partner with an assortment of sizes, styles, and dimensions to make that perfect wall arrangement. From lustre prints to canvas wraps, there are plenty of choices to find the exact arrangement for your home or office. All sessions offered by Giana Terranova Photography are laid back, worry-free experiences. The amount of preparation is completely up to you, but there are several suggestions. Outfit changes may be available depending on sessions, so make sure to bring different options. Always dress appropriately for the weather, but you can wear anything from casual, dress, or horse show attire. Having hair and make up done is definitely suggested, but I encourage you to prepare yourself in a way that makes you the most comfortable! As for the horses, I'd suggest you do whatever show preparation that you might do for a competition, for example: clipped, clean, hooves painted, make up, and clean bridle. If your horse is known to be fresh, I also suggest a ride or a lunge before to make sure the session is super relaxed for both horse and rider! I also always recommend having a second person there to help if at all possible, especially with outfit changes! Check out a link to my detailed preparation guides HERE. I highly encourage you share images with your friends! Credit is preferred but not required. If you'd like to credit, tag Giana Terranova Photography on Facebook or @gianaterranova_photography on Instagram. There are several options to choose from. Payment by check or credit card is preferred and payment is required immediately following the end of the session. If you wish to pay online with credit card, there will be an option to pay online when I send you the online contract! Horse and Rider Sessions also require a 20% security deposit because they are limited in scheduling. The deposit must be paid online at least a week prior to the session date and will only be refunded if the session is forced to be cancelled due to inclement weather. If I’m unable to make the session for whatever reason, the deposit will also be returned. Travel fees may be included depending on distance, but will be discussed with you prior to booking. Generally, for trips traveling outside of my general location (Southern California or Wellington) that require flying or driving long distances, I charge a flat fee for ALL clients to cover travel expenses. Once again, If I didn't discuss travel fees with you prior to booking, they may not apply! The background is very important for these type of sessions. Greenery and barn architecture is preferred but I am pretty flexible in making different locations work. Horses are unpredictable animals, so home or locations they are familiar with are the best for a relaxed session for horse and rider. However, if there are other locations you are interested in with better scenery that you are comfortable to trailer to, definitely let me know and we can work that into the schedule! Time wise, the best lighting is early morning at sunrise or late afternoons around sunset. Shooting in mid afternoon can produce a harsh lighting that I would never recommend, so I always book my sessions at the beginning or the end of the day. Keep in mind that these hour to two hour long sessions will take up ALL the good lighting, so I’m only able to do one every morning or evening. Digitals are included in every session package that I offer! I love being able to give clients the ability to share their images with friends and family online. The digitals you receive are considered ‘digital proofs’ only and will be sent with my logo on them for social media use only. These images are not permitted to be printed except through my professional printing labs to achieve the highest quality. You will receive your images, usually through email, with a link to a personalized online gallery from which you can download the files straight to your computer. Completion of images depends on the type of session, but my typically turn around is 4-5 weeks. CAN I ORDER PRINTS OF MY IMAGES? Of course! I work in tangent with several printing companies to offer you physical prints in multiple sizes. Being able to hang your images on your wall creates a physical way to celebrate your memories forever. Clients can purchase prints from 4x6 and up right in their personalized galleries, and have them delivered straight to your door! There are plenty of options and prices available, and if you have a size not listed on my product page linked above, inquire for custom options! CAN I PURCHASE PRINTING RIGHTS? Absolutely! If you’d like to purchase High Resolution Digitals with the ability to print yourself, I do sell Printing Rights to the images in the your session, as well as other images you see in my selected galleries. If you’d like to purchase printing rights, please inquire on pricing.